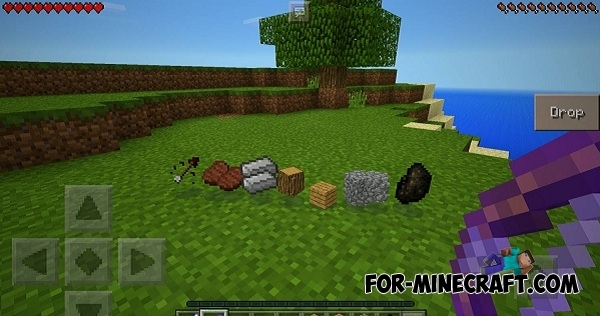 EasyDrops is pretty useful mod for Minecraft Pocket Edition 0.15, which allows to drop items one by one. After installing, you will see a new button, with which you can throw any object from your inventory. EasyDrops mod is very simple, it does not require instructions. Just select any item in inventory bar and click on the button in the upper right corner of the screen.